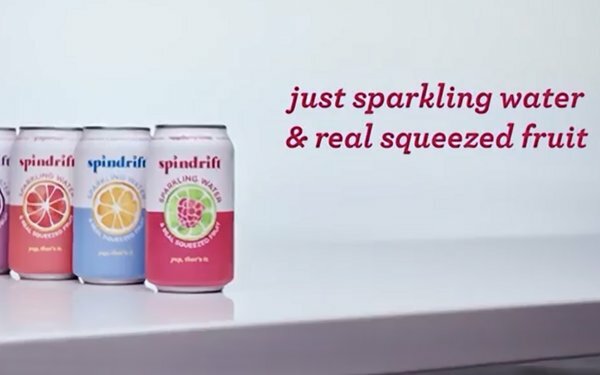 After closing $20 million in private equity funding in March, Spindrift Sparkling Water is launching its first national ad campaign to reach a wider audience. Developed with agency Mistress, the “Yup, That’s It!” creative uses both humor and information to differentiate the brand from water competitors whose campaigns typically rely more on trendy emojis and selfies, says an agency spokesperson. With a media strategy developed by AMP Boston, print and out-of-home advertisements are focusing on the product's fruit ingredients. OOH runs in key markets including Chicago, L.A., and New York City. The digital video component of the campaign features actress Kristen Bell as she pretends to be the brand's biggest fan. This video content runs in 60-, 30- and 15-second spots across digital channels, including Refinery29 and Pinterest, ending with the #yupthatsit and #realfruittastesbetter hashtags. The campaign also includes paid social, search, and digital programmatic in order to reach a broader audience. “The campaign strategy honors both the simple product truth and brand conviction: that it’s the real and authentic slow-down moments that truly make life fulfilling, especially in our increasingly fast-paced and complex world,” says Caroline Kibler, SVP, marketing, Spindrift.